Since 1978, our family owned business has earned us a solid reputation for building homes of unsurpassed quality and developing communities nestled in picturesque settings throughout Chicago. Instilled with the unrelenting commitment to fulfilling the demands of the client has earned DIOR Builders the reputation of being a trusted and high-end luxury custom home builder. At Taft Built, we perfectly understand what you are looking for in a luxury custom home or a home renovation. We will not let you down! We approach each project with the word “custom” stamped on every step of the home building process. All possibilities are considered, & every step of the construction process is thoroughly planned. Integrity Homes Inc. became a reality in 1998 and has been passionately building custom homes in many fine communities focusing in the Barrington, Long Grove, Kildeer and Inverness areas. One of Chicago’s pre-eminent homebuilders since 1934 At Red Seal Development Corp. our commitment to quality is renewed with each home we build. Year after year, from one community to the next, Red Seal remains dedicated to building the finest homes, in the best locations, for customers who deserve only excellence. Over the years Red Seal has earned a stellar reputation, winning prestigious awards on an annual basis. Most recently, Red Seal was recognized as an honorable mention recipient at the 9th Annual Torch Awards for Marketplace Ethics. This award recognizes the importance of good business ethics, and a company’s willingness to ensure fair and honorable practices for all people. Red Seal was also the proud recipient of the Home Builders Association of Greater Chicago’s Crystal Key Awards in 2004 and 2009 for innovation and design of a multi-family community for Deer Park Estates and Shermer Place in Northbrook. These recent awards provide further evidence of our commitment to excellence in our 8th decade serving Chicagoland’s most discerning customers. For over 80 years Red Seal has been dedicated to excellence for its customers. In all that we do, we seek to create exceptional places to live and a homebuying and ownership experience that is unsurpassed in the industry. Consult. Design. Build. -- Residential remodeling company that specializes in additions, kitchens, bathrooms, basements, interior remodeling, new construction and more. Since 2003 Integrity Construction has been helping families remodel and renovate their homes to better serve their needs, enhance their lifestyles and make them fall in love with their homes all over again. We are a full-service custom home improvement design/build remodeling contractor. We specializing in New Construction, Residential Remodeling, Room Additions, Kitchen Remodeling, Bathroom Remodeling, Basement Remodeling, Roofing, Siding, Windows, Painting, Carpentry and more. We have an unblemished A+ Rating with the Better Business Bureau and an Angie’s List approved contractor. Fully licensed, bonded and insured. What’s the most important step in building a new house from the ground up? Many people would say it’s choosing the right Mount Prospect home builder. Constructing a new house is a huge and multifaceted undertaking, so it’s important to find custom home builders in Mount Prospect, IL you can trust to bring your vision to life, as well as keep the process under control from start to finish. Although a construction job is never without surprises and challenges, a Mount Prospect, IL home builder who’s a good fit for your specific project will make these far easier to handle. For Mount Prospect residential home builders who also act as developers, the job starts well before the first nail is driven. They perform local market research to determine whether the prospective homesites make sense in the Mount Prospect, IL market, as well as survey the land on which the house will be built to make sure it is suitable for construction. Custom builders also obtain the necessary permits. 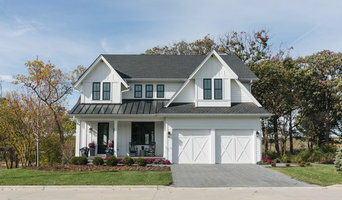 A good custom home builder in Mount Prospect, IL has skills that go far beyond construction — he or she must supervise subcontractors and artisans; keep tabs on local zoning regulations, building codes and other legalities; inspect work for problems along the way; and perform dozens of other roles that are essential in building a quality house. Here are some related professionals and vendors to complement the work of home builders: Interior Designers & Decorators, Landscape Architects & Landscape Designers, Architects & Building Designers, Kitchen & Bath Designers, Specialty Contractors. House builders are responsible for ensuring that the home-building project sticks as closely as possible to the specified timetable, particularly in the event of change orders. 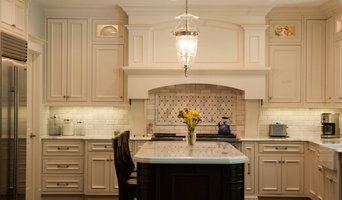 Custom and luxury home builders in Mount Prospect, IL also need interpersonal skills to deal with clients of all types, soothe frazzled nerves, negotiate conflicts and resolve problems. Find custom home builders in Mount Prospect, IL on Houzz. Narrow your search in the Professionals section of the website to Mount Prospect, IL home builders. You can also look through Mount Prospect, IL photos to find a house you like, then contact the builder who worked on it.